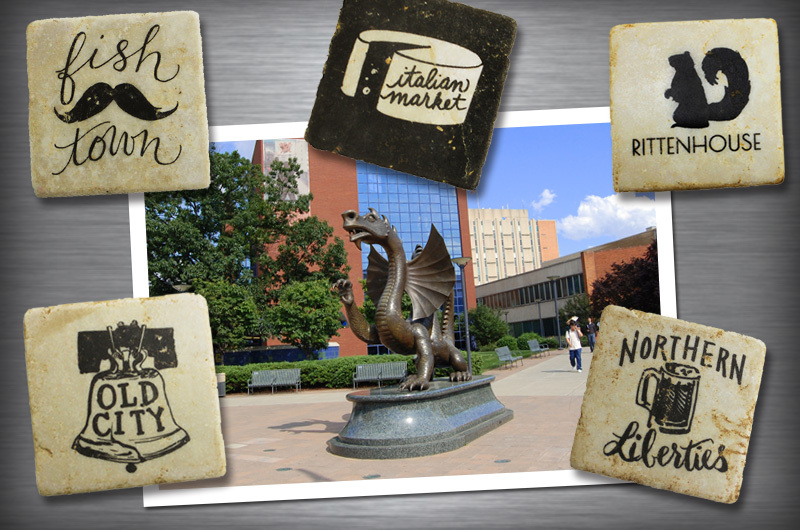 These hand-crafted Philadelphia Neighborhood magnets are available for sale from the d&mShop. Don’t miss the last days of the d&mShop’s Holiday Pop-up Store! The retail location of the learning laboratory run by the Design & Merchandising students in Drexel’s Westphal College of Media Arts & Design is located in the URBN Center Lobby (3501 Market St). The shop’s last day will be on Saturday, Dec. 6 from 10 a.m. – 1 p.m., selling an eclectic selection of products from local and student artists. Items are always available for sale on the d&mShop’s website, www.dmshopatdrexel.com. Use promo code DREXEL14 to get free delivery anywhere on campus before Dec. 25. Products range from jewelry and accessories to apparel, gifts and home goods, including one-of-a-kind items from skilled students, faculty, alumni, and artists and designers in the Philadelphia region. For more information, visit: http://www.drexel.edu/now/archive/2014/December/dmShop/. News media who are interested in speaking with the shop’s faculty advisor, Kristen Ainscoe, or the students involved, can contact Alex McKechnie at ahm62@drexel.edu or 215.895.2705.